So what exactly is RC telemetry? In a nutshell it’s the ability to wirelessly collect data from remote sensors. It’s not really a word that most of us commonly use, but it is technology that most of us probably use every day without even realizing it. This new technology allows us to monitor exactly how fast and how high our RC planes are traveling. 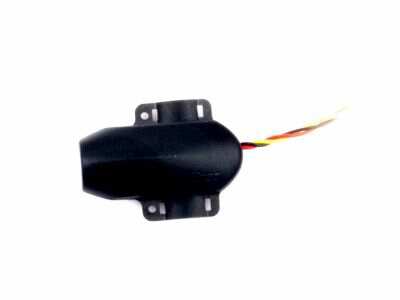 We can monitor present GPS coordinates, battery voltage, motor current, propeller RPM's, fuel tank levels, and just about anything else a sensor can measure. 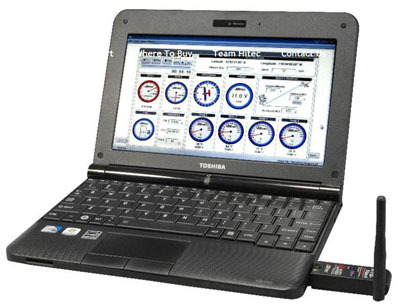 With the right equipment we can also download this information to flight data recorders, mobile phones, are even directly to our laptops. When RC telemetry first came on the scene it was in the form of stand-alone systems completely independent of the radio equipment used to fly our airplanes. 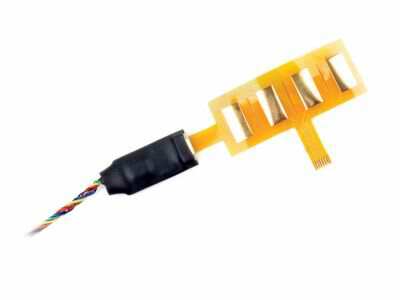 A tiny transmitter installed on-board the airplane sends data from the sensors back to a separate LED screen or data recorder on the ground. 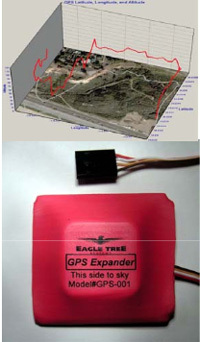 Eagle Tree Systems is a very trusted name in the hobby. 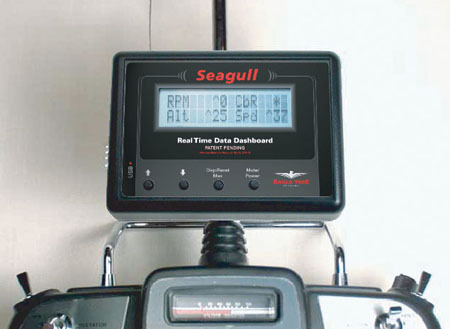 They sell the Seagull Data Dashboard and transmitter you see here. Eagle Tree sells a plethora of sensors for monitoring everything thing under the sun until your heart's content. One of the advantages of using a stand-alone RC telemetry system is the fact that you don't have to worry about it being compatible with your existing flight radio. It's very important that the frequency used with the RC telemetry transmitter be different than that of your flight radio. 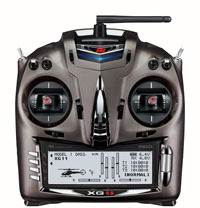 For example you can't use a Seagull 2.4GHz transmitter with a 2.4GHz flight radio. As you can imagine, this cool new technology became very popular in a hurry. It wasn't long before the big players such as Spektrum, JR, and Hitec jumped on the bandwagon and began to integrate this technology directly into their transmitters and receivers. 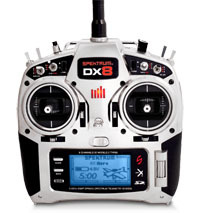 As far as radio manufactures go, Spektrum/JR is leading the pack in regards to telemetry integrated radios. 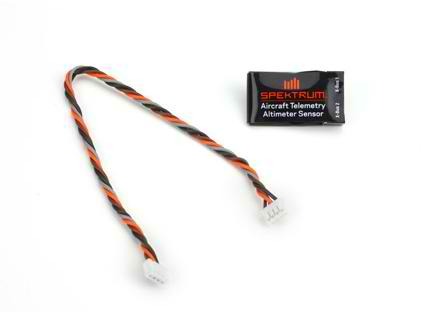 The Spektrum TM1100 telemetry module (that sends the data from the airplane to the above transmitters) is compatible with all DSMX or DSM2 receivers. 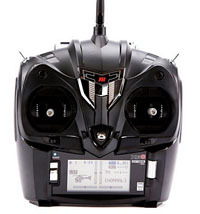 However, in order to get radio flight data such as receiver battery voltage, signal loss, frame loss, and failsafes you need to have a receiver with a data port. 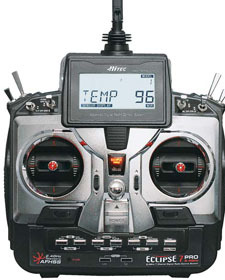 Hitec has several transmitters that support their AFHSS telemetry sensors including their flagship Aurora 9 transmitter in addition to the Optic 5 and Eclipse 7 Pro. 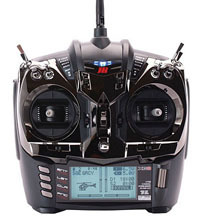 The Hitec Optima 7 and 9 receivers have to be used in order to take advantage of the full range or on-board sensor capabilities. 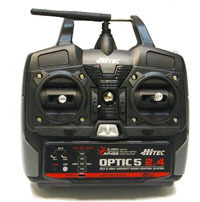 The Hitec Spectra 2.4GHz Module can be plugged into the back of the older Eclipse, and Prism 7X 72Mhz transmitters to make them compatible with the Optima 7 and 9 receivers. Futaba's late to the game figuratively speaking. Their latest technology, FASStest, finally supports telemetry. The kicker is that it only works with the two most expensive high-end radios they sell. 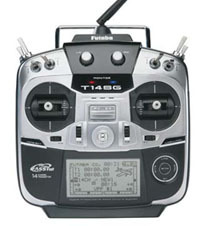 The Futaba 18Mz and 14SG transmitters. In my opinion this is a slap in the face to loyal Futaba customers who shelled out a ton of cash for one of the other high end Futaba radios that doesn't support FASSTest. 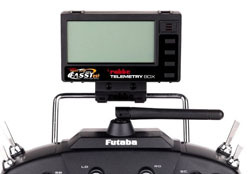 If it's any consolation to you Futaba guys, there is a "Futaba Telemetry Box" that snaps on to the handle of the transmitter. 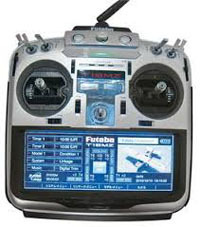 It's basically an LCD screen that can communicate with the Futaba FASTest telemetry sensors. 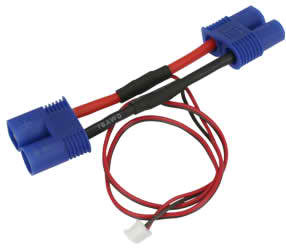 If you fly electric RC planes you will find the electrical aspect of RC telemetry by far the most practical and helpful. 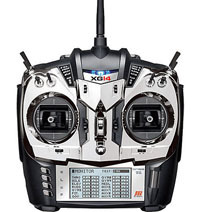 Up until now you've probably set a timer on your transmitter to let you know when it's about time to land. If you're like me, you probably have hit the low voltage cut-off a few times before knowing exactly how long to set the timer. And even then, it's just a guess depending on how hard you fly. 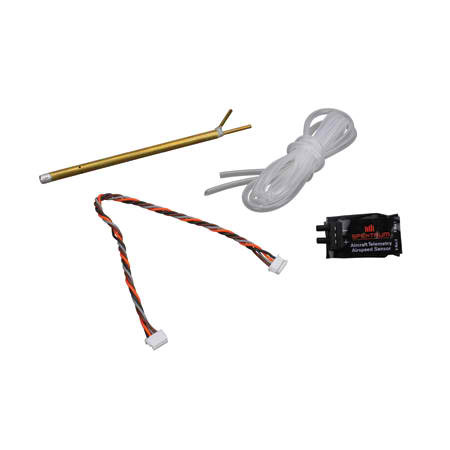 With an RC telemetry voltage sensor you can monitor the voltage of your batteries in real time. Most telemetry ready transmitters give you the option to set an alarm to notify you when the battery has reached a pre-set voltage. This takes all the guess work out of it. You can now get the longest flight time possible without risking damage to your battery or dead stick (LVC) landings. 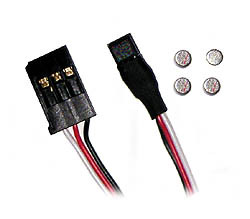 These voltage sensors are great for monitoring the receiver voltage of glow or gas powered planes as well. Not only can you tell if your RX battery is running low, you can see in real-time just how much of a load your servos are putting on your receiver battery. The is especially important for large scale or 3D planes that require a lot of torque at the control surfaces. This data can be used to determine if your battery pack is sized properly for the load. You already know that a current meter is an absolute requirement when testing the set up of your new electric powered airplane. 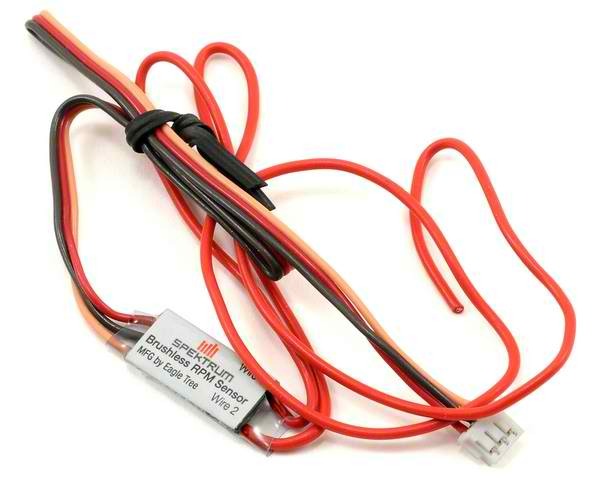 It's critical to know how many amps the motor is drawing with different propellers so you can be sure that you're not overloading the ESC or battery. But let's be honest, there is only so much testing you can do on the ground. The conditions and dynamic loads on the airplane are completely different when she's in the air. 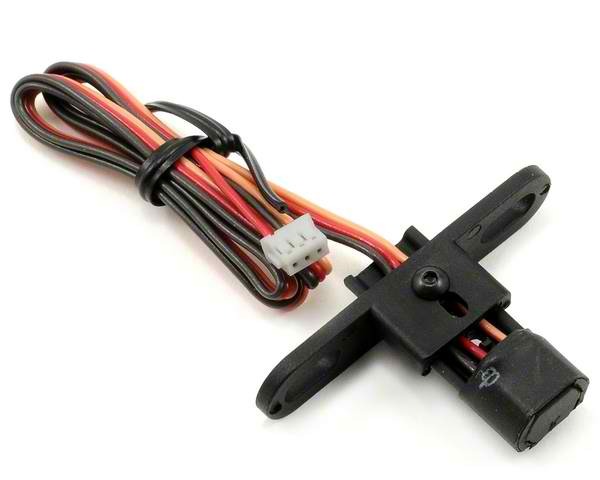 An RC telemetry current meter clips right around your motor leads to monitor exactly how much juice your motor is pulling during the entire flight. You can set an alarm to let you know you are pulling too much current so you can ease off the throttle or land before you fry your motor. After landing you can take a look at the current spikes on your flight data recorder to see just how far you pushed your motor. You can even send this data to your computer and plot it for further analysis. If you're a glow plane pilot, there's no need to feel left out. Fuel level sensors let you know when you're running low on fuel so you don't have to worry about flying too long and ending your flight with a dead stick landing. What good does it do to know the ambient temperature of your RC airplane? Just ask the thermal glider guys. Knowing the temperature makes is much easier find and ride those thermals. But finding thermals isn’t the only practical use for on board temperature monitoring. Let’s face it, the components we use in our airplanes aren’t exactly cheap! Wouldn’t it be nice to know if your engine is running too hot during a flight so you could land it before damaging the engine? Or maybe you’re about to melt the windings of your expensive brushless motor? What about the battery? Although it may be kind of cool to watch, nobody wants an unexpected pyrotechnic display caused by a flaming lipo pack! If you own a four-stroke engine chances are you have a hand held tachometer handy for tuning the engine. 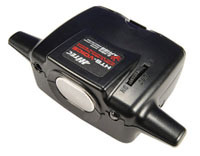 With an RC telemetry RPM sensor you can simply read the engines RPM's right off your transmitter's display screen. It's also pretty cool to be able to monitor the RPM's throughout the entire flight or store the data to look at later. The IC engine guys aren't the only ones who can use a tach. The RPM meters are great for checking the Kv rating of electric motors as well. There are a couple of different types of RPM sensors. An optical sensor works just like your hand held tach. As you probably are aware, if you get in the wrong light these types of tachs don't read properly. 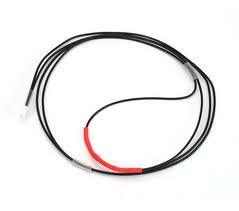 So if lighting is an issue you may want to consider a magnetic RPM sensor. With a magnetic RPM meter a tiny magnet is placed on the propeller or perimeter of the spinner. A small sensor is mounted behind the propeller that picks up this magnet each time it goes around. It's a pretty cool little gadget actually, just have to make sure you check the balance after mounting the magnet. These are really cool little gadgets as well. I mean who wouldn't want to know how high or how fast their RC airplane is flying? A GPS sensor pretty much does it all. It tracks your speed, direction, altitude, in addition to longitude and latitude. You can even plot your flight in 3D on Google Earth! This comes in pretty handy when you and your buddies are on a scavenger hunt in the woods adjacent to the flying field in search of your downed airplane. Most of you have probably been there and done that at some point... Unfortunately some of us more often than others! But hey, if you're not crashing you're not flying hard enough right? Flying an RC plane requires your undivided attention. We all know what can happen in a blink of an eye. 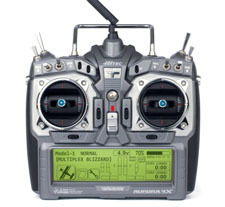 Aside from the occasional glance, you simply can't spend a whole lot of time looking at the display on the transmitter while you're flying. 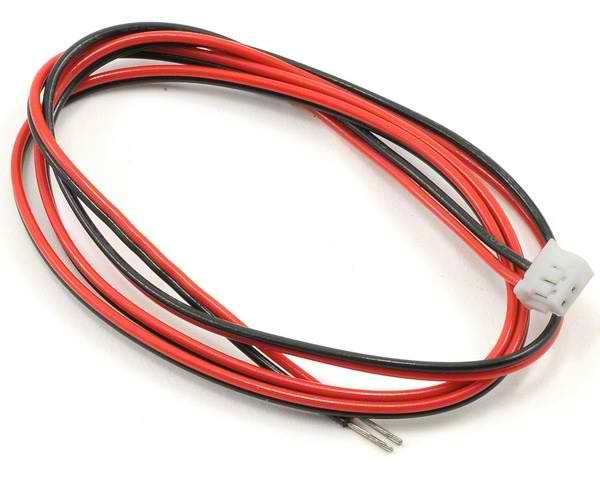 The majority of the RC telemetry compatible transmitters have audible alarms that can be set to notify you of set points such as low battery voltage, high temperature, and low fuel level. 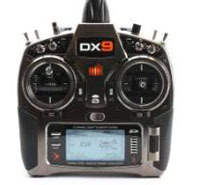 And some transmitters such as the Spektrum DX8 that actually vibrate to alarm you of a problem. Alarms are great for keeping you informed of problems without having to take your eyes off of your airplane. 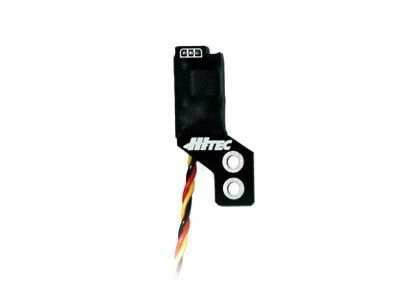 If you want more than just audible alarms, the Hitec HTC Voice Telemetry Unit actually talks to you while you fly! You can program it to audibly inform you of temperatures, speeds, altitude, currents, voltages, and everything else we discussed above. Interfaces are available to send all of the data from the RC telemetry sensors aboard your airplane directly to your PC. Let your buddies monitor all of this cool data and they can keep you informed. You can also store the data on your computer so you can take a look at it when you land. Don't feel like packing a laptop to the flying field? Spektrum's iPhone interface can turn your smart phone into an instrument panel! If you don't have an iPhone, there are several small hand held flight data recorders available. I wrote this page to give you a broad overview of what RC telemetry is, why it's useful, and to highlight some of the major brands and what they offer. This is a rapidly changing technology that can make your head spin trying to keep up with all the different brands and products on the market and compatibility between them. 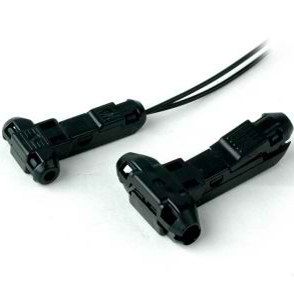 Regardless of which route you take, most all of the different manufacturers offer the same type of sensors. It's more of a matter of taste and compatibility with the equipment you already own. 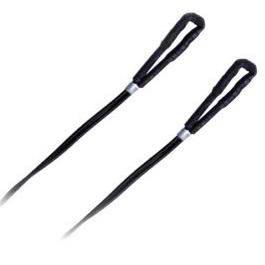 I'll leave you with a list of companies that I'm aware of that sells RC telemetry equipment. If you know of any I miss please shoot me a message and I'll add it to the list. 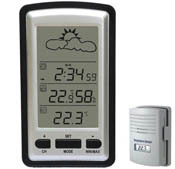 An indoor/outdoor thermometer with a remote sensor that lets you know the temperature outside without you having to leave comfort of your couch is a prime example of the everyday use this technology. 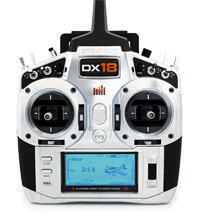 Thanks to 2.4GHz radio systems, we can finally use this technology with our RC airplanes.